The best things in life are free....or cheap! For my upcoming show in Fresno, The Heart of California Bead and Adornment Expo, I found some vintage silver trays to display beads on. Some of these I already had since I am a junk store junkie! 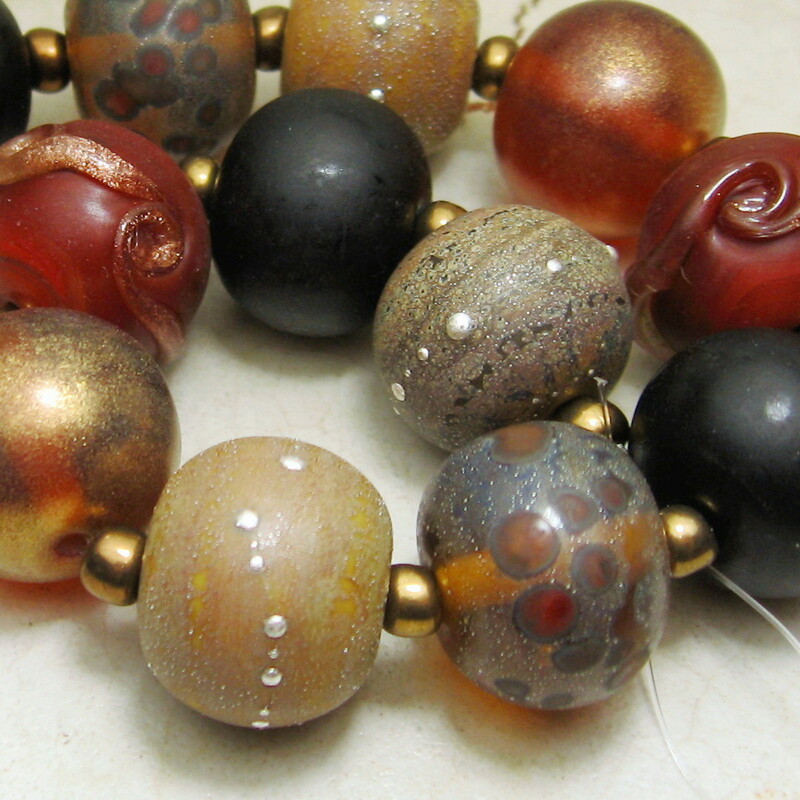 I think they will look so cute with my lampwork beads in them and add a continuity to the table. Being interviewed is always hard for me. When I was little, I was always the shy one, making my brother and sisters guess what it was I wanted instead of me just asking. They learned to read my sign language! But being married to my husband has helped me overcome that...he is far from shy! Today's feature in Holly Dare's blog Glass Beads Daily is about moi! After reading it I realized I really need a new picture of myself...one that doesn't show the gray!! I have also been enjoying reading a new blog (for me) from Kat O'Sullivan AKA Katwise. What an ambitious young woman! So, after reading her wonderful writings, I am determined to blog more often. We'll see what comes out of these pages in the next few weeks! I've been steadily making new beads for the upcoming show, The Heart of California Bead and Adornment Expo in Fresno, California on September 7 & 8 at the Ramada Inn. I'm close to being ready, but there's always "just one more bead"!And that's in between canning pickles, green beans, freezing peas, broccoli and the tomatoes are coming on fast! Until next time...here's some new eye candy!